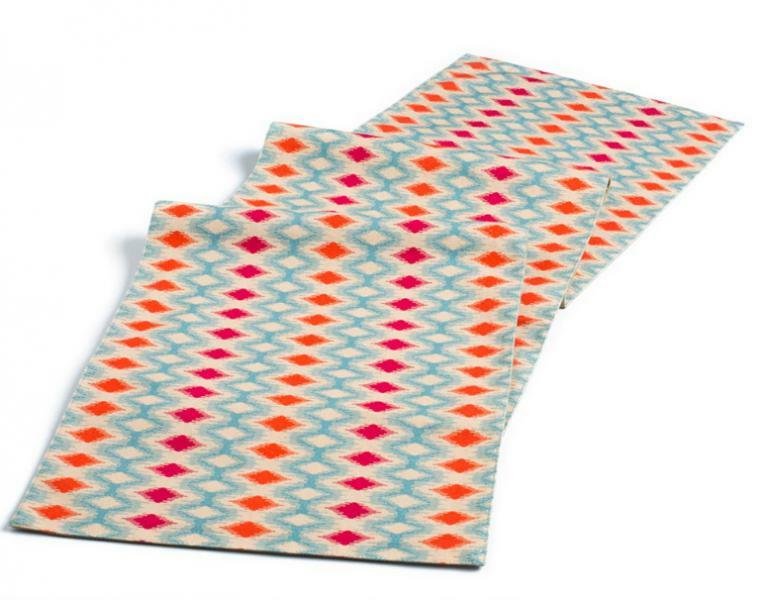 6 Gifts to Win Your Mum's Heart, This Mothers Day! 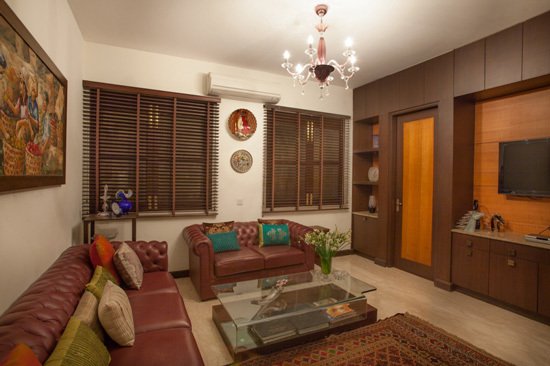 Discern asked Shruti Choudhari, an interior architect and the owner of Chrysalis Design Studio, to share how she helped the Kashyap family decorate their Delhi home. Read on to find out how three unique styles were used under one roof. 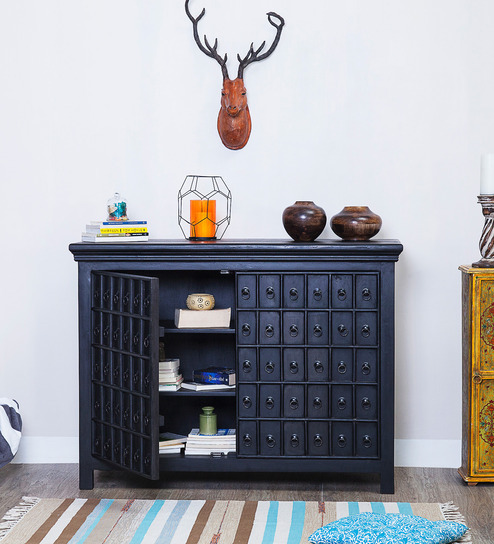 In this article you will also find Discern's handy list of suggested products that will help you bring some of these specific looks into your own home. Studio received a design brief from the Kashyap family, on a wintry day. Their home was already a treasure trove of art and thoughtful touches, such as the delicate china with a beautiful winter rose design in which we were served afternoon tea. The family had runners woven out of jute with ikat patterns, wooden trays with filigree work, and serving bowls in a splash of pop colors. All different in terms of style but completely balanced in terms of visual delight! During our exploration of the Kashyap home, we confirmed what we already love about home decor - the family's aesthetic showed that one should not be afraid of mixing and matching prints and styles. Just remember to have a central theme, like a family of colors that go together. Get creative and have fun while decorating! 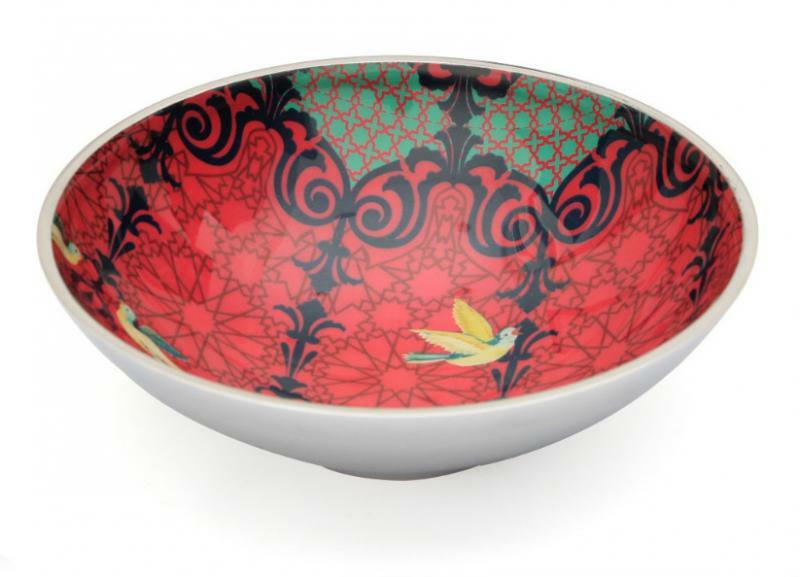 Taking table-top as an example, Good Earth is great for tableware and runners. Shades of India also has a great collection of runners. For budget-friendly options, you can check out the selection at India Circus. 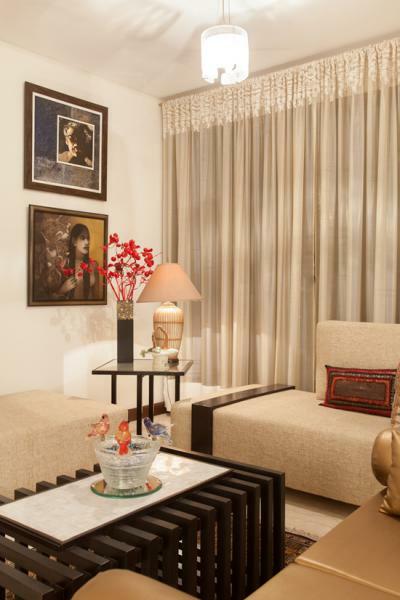 Each floor of the Kashyap home has a distinct style, based on the individual personalities who inhabit the home. The underlying design ethos of the original plan has been respected and integrated seamlessly with the new. 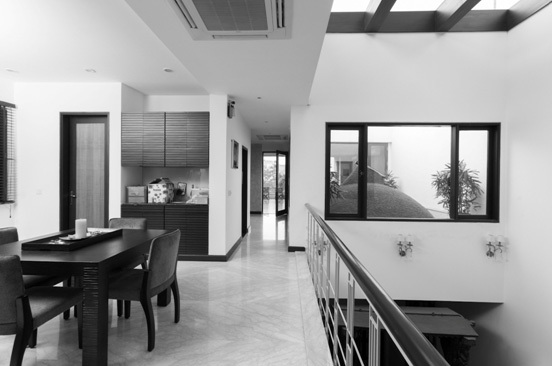 The home is a living testament to the fact that more than one style can be assimilated under one roof, as long as they are given the space to exist together. The home has two skylights at different levels and an open plan layout. Most of the areas of the home can be seen while sitting in the master bedroom. Family and friends enter through a modern slat door with a beaten copper patina inlay. 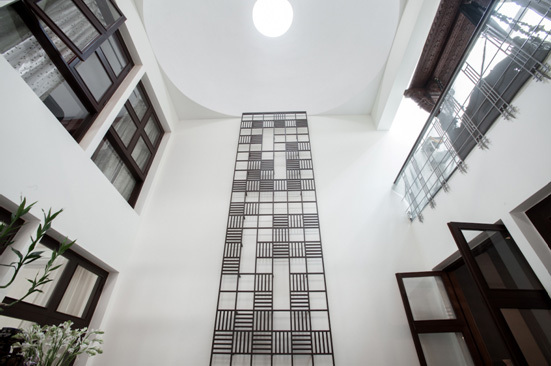 They venture further down a small corridor framed by a Romesh Gorjala Hanuman, into a volume of space dominated by a blank canvas on which a wooden screen has been mounted, that extends over the entire height of the house. This space seems to naturally flow upwards into a skylight dome, which lets the soft north light enter the home and creates a play of light through the day. 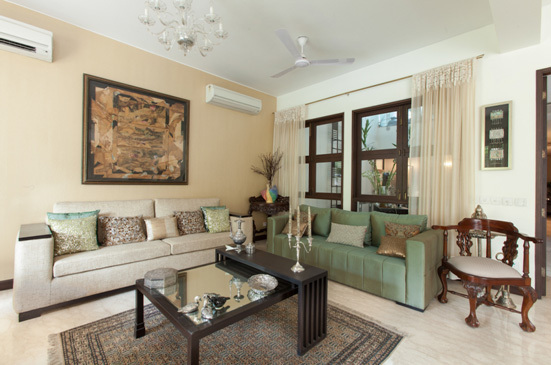 The space on the left leads you to an elegant living room with picture windows framing a lush green garden. The living room is done up in shades of ivory and teal, with a burnt sienna base. The colours in the living space were defined by the artwork; the Muzaffar Ali mixed media canvas of his Sufi poetry based on love; Sachin Jaltare’s Romanticism and Yussuf Arakkal's light and shadow work are all represented here. 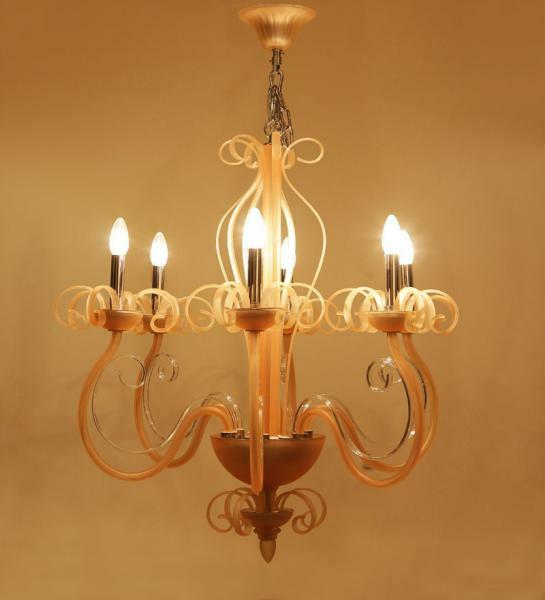 There are Lladros, Chinese carved cabinets, straight-line sofas, tables with double height pull outs, silver curios, blown glass pieces, eclectic lamps and exquisite bronze sculptures. 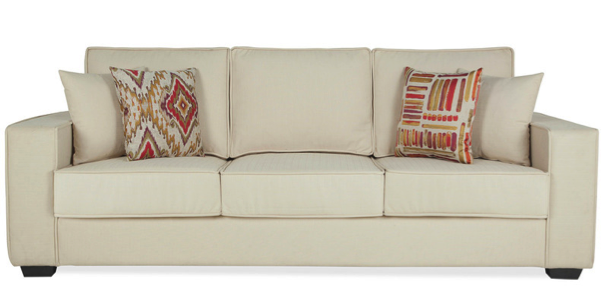 Discern Tip: In a space where Art Dominates; let it be the hero and keep the furnishing soft and non-intrusive. Let it complement, rather than distract. 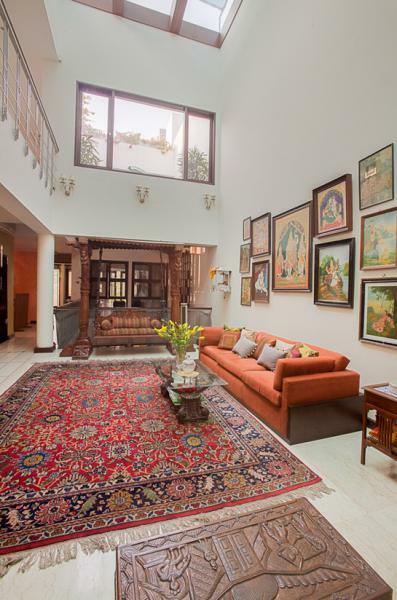 The space on the right leads you to the dining area where the focal point - a huge 300-year-old Tanjore - is offset by a figurative painting from Anand Panchal's toy seller series. 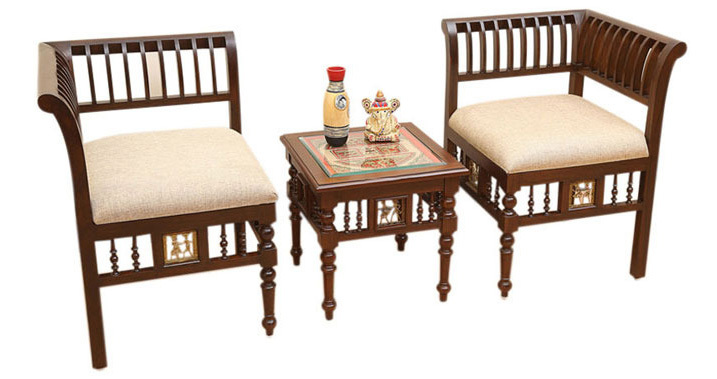 Also, in the room are a modern table in solid Burma teak, accompanied by leather and wood chairs. The dining room has a family space-like extension, exuding a Middle Eastern vibe with a Bohemian crystal chandelier and plates from Turkey. The powder room features backlit onyx with wood in three colours. The kitchen is equipped with modern appliances and the guest bedroom is modern-chic. A lift and a staircase provide the vertical circulation. The stairwell has Oikos wall treatment in a metallic copper finish that changes its colour based on the light reflecting off of it. The staircase is made of mild steel, with wooden treads in solid Burma teak. 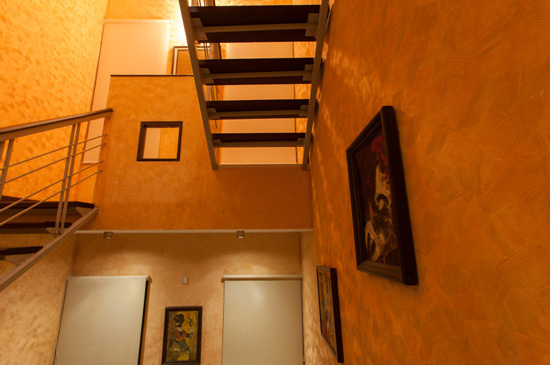 The stairwell is adorned with the Badami series of paintings by JMS Mani. The first floor houses three bedrooms and a study. The flooring is an exquisite white cement with marble chips and an inlay of brass. The highlight of the first floor is the family room that overlooks the central dome atrium and has its own glass skylight. The family room has an heirloom carpet almost 200 years old, in mint condition. Complementing it is a wooden jharokha swing and a modern sofa with a rocker and carved table made of an old temple column base. There are Raja Ravi Varma antique prints interspersed with Tanjore paintings created by the artistic Mrs. Kashyap. This was our favourite space. It is well lit, happy, and seamlessly incorporates various styles while boasting of a storied history and an era gone by. 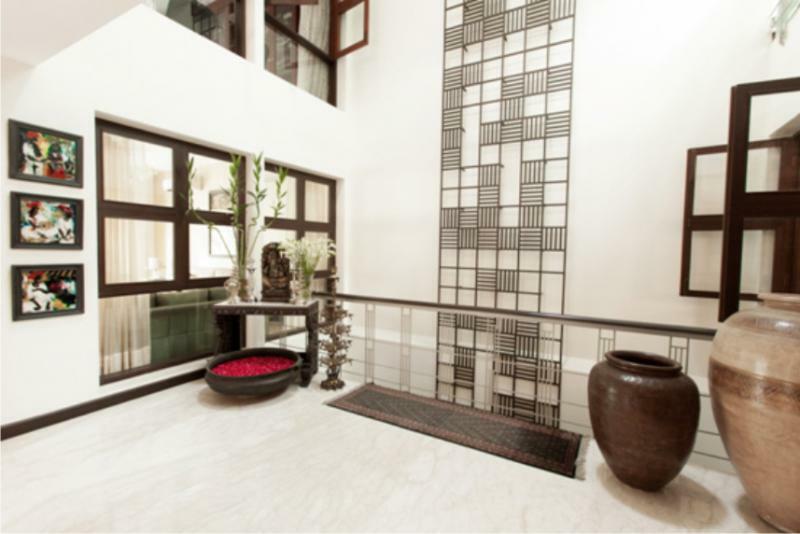 The second floor belongs to Saurabh Kashyap, the son and is an immediately obvious departure from the more traditional style of the rest of the home. It is masculine and utilitarian with fuss-free colours and clean lines. Grey, brown and caramel form the main colour palette. The highlight is his den which flows into a wrap-around deck with a stunning green-top view of the trees. The den has curios from his travels, alongside a small bar/pantry unit. A miniature handmade ship dominates this space. 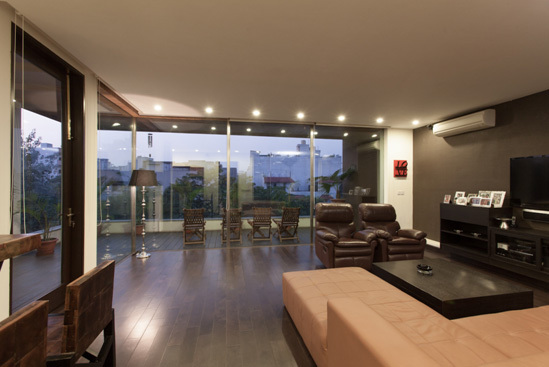 The basement houses a home theatre and well-equipped gym, along with a billiards and table tennis table. 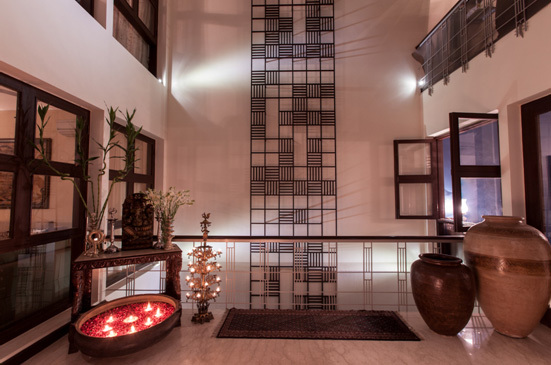 The home looks best at dusk when lit candles cast dancing shadows and the smell of rose petals in the metal Kerala Urali at the entrance creates a dreamy ambience that is accentuated with the smell of mogras placed in floaters on the dining table. Good design has the ability to recreate living poetry in a sublime form. This home bears testament.